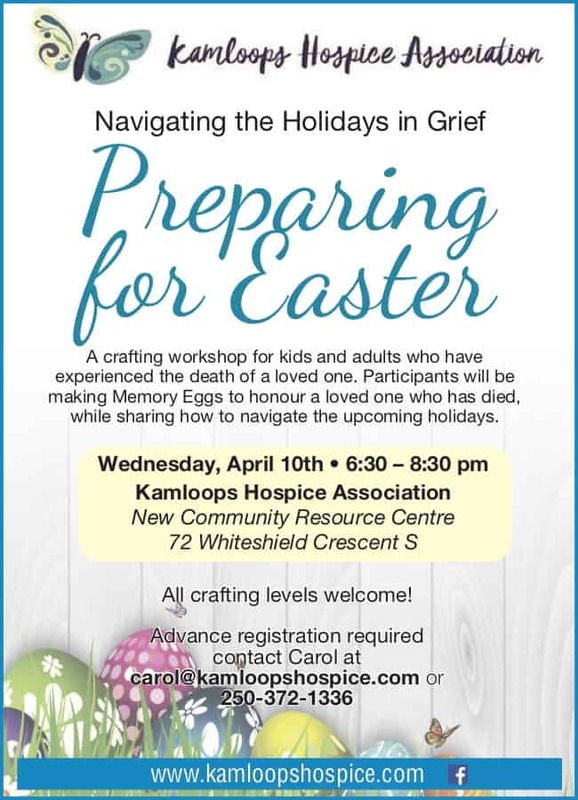 A crafting workshop for kids and adults who have experienced the death of a loved one. Participants will also be making Memory Eggs to honour a loved one who has died, while sharing how to navigate the upcoming holidays. Advance registration required. Contact Carol by email or 250-372-1336. This is the first workshop in a new series we will be hosting on Navigating the Holidays in Grief. Watch for upcoming workshops including Thanksgiving, Christmas, Valentines Day and more.